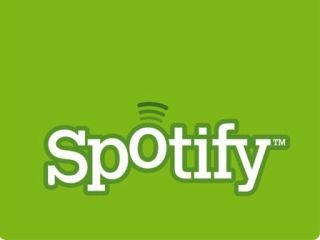 Spotify's Premium subscribers will be able to listen to streamed music at CD quality, with the music providers beginning to roll out the improved offering for its paying customers. Spotify has been keen to push its paid for 'premium' subscriptions, with the company recently announcing that a raft of improvements would make the service better value for money. Now those Premium members will get a large improvement on the current bitrate of 160kb/s to 320kb/s using the Ogg Vorgbis q9 codec, doubling the quality and making it akin to CD quality. The higher bitrate will be available right away for Premium subscribers, and activated by ticking the enable high bitrate box in the Spotify preferences menu. Daniel Ek, CEO and Founder at Spotify, said: "Providing great sound quality has always been an important goal for us. "Now, we're taking the next step in offering an unparalleled listening experience." Initially, only the most popular tracks will be available at the higher bit rate, with the entire catalogue converted to 320 kb/s over the next few weeks.